I just build a CoreXY (Hyper Cube Evolution) and would like to home to the top instead of the bottom by using the Bltouch (As the build height is 800 mm it would be a lot faster to home to Z-min). But if I look in the config for 1.0.0 release I can't find a way to add G-code as in auto bead leveling. And if I'm not wrong we also need the homing to subtract the nozzle-Bltouch dif. 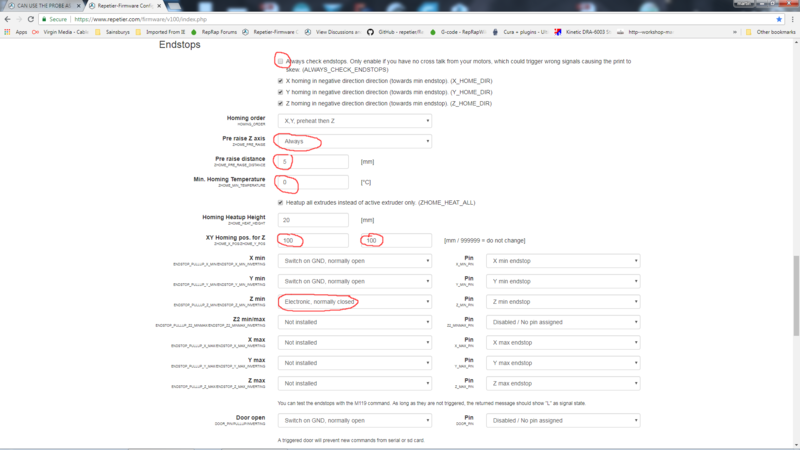 In the config tool, you have to tick the enable Z probing box, 1st option under the features tab,this will open the Z probe options half way down the page. For bl touch, you will also need to enable the servo support. 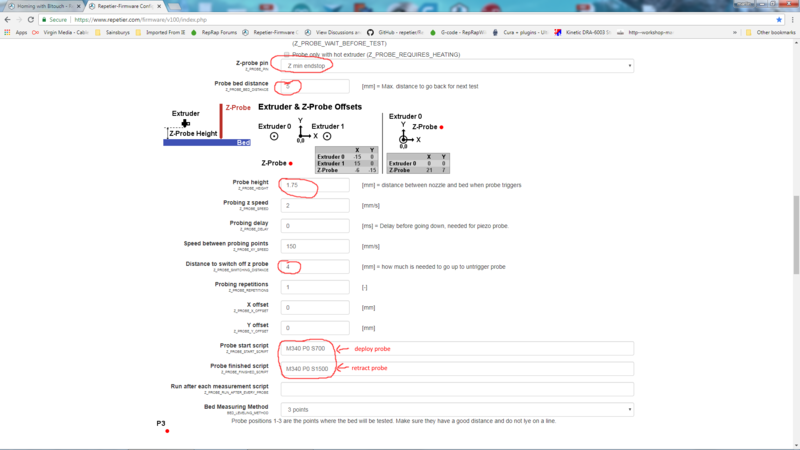 Hemm, that is for Z probing do that imply the Z-probe height for for homing? 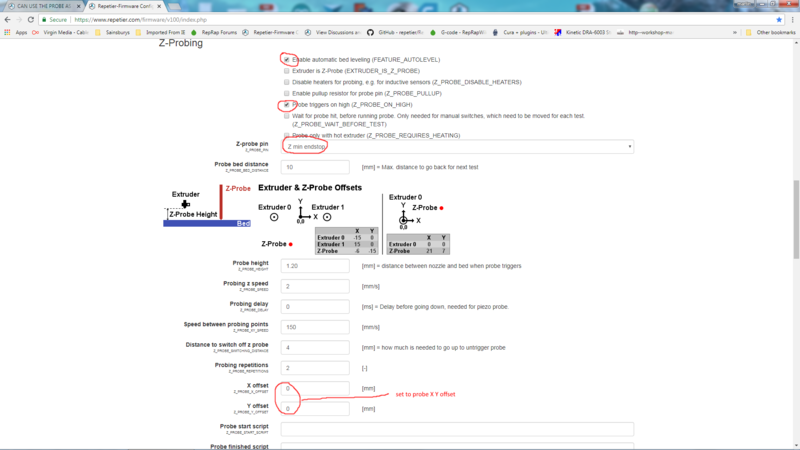 I can see if I go to Mechanics and enable homing order "X, Y, preheat then Z" then I get the option to put in a XY Homing pos. for Z.
I don't know if that would take the Z-probe height in to account. But that could be fixed by probing the bead after homing. Yes, either of the preheat homing option let you specify the Z homing XY location,you can set the preheat temp to 0 to disable the heating part. Z probe height is used for the Z homing. When you say "you will also need to enable the servo support." what exactly do you mean? I'm trying to get a BLTouch to work with: Repetier 1.0.1 development firmware, Arduino Due+Radds shield controller. The probe will run a self test when I first power on the printer. After that, nothing... do I need to add something in the firmware to enable servo support? In Pins.h or Config.h? Any help is very much appreciated and sorry if this is a highjack of this thread. 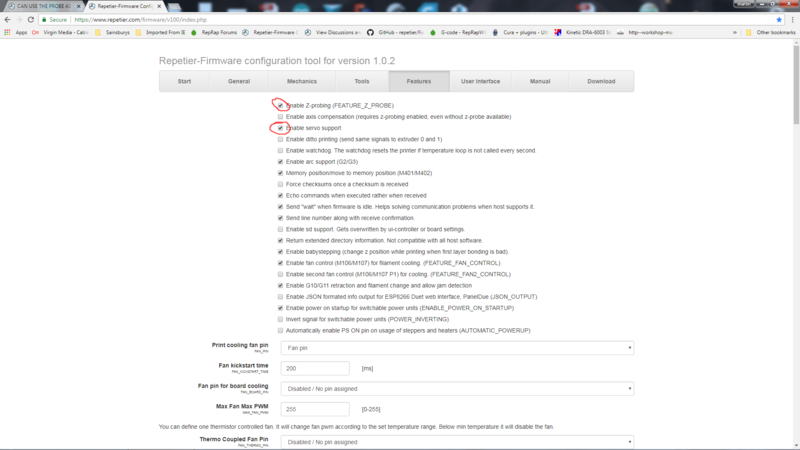 Yes, servo support is not enabled by default in the online firmware config tool. The attached images show how i have my 3d touch(bl touch clone) setup.